Big Buck Hunter HD Arcade Game is the most realistic Big Buck Hunter HD Arcade Game that has been created. It is cited to be the most realistic and entertaining arcade hunting ever created. You can hunt North America in 1080p HD graphics on 42″ screen. All games are online demonstrating head to head competition. 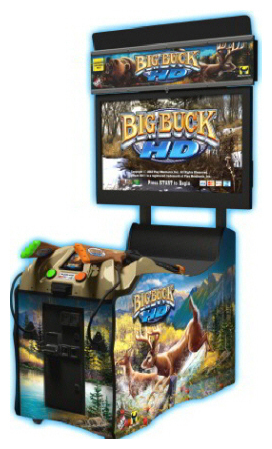 Big Buck Hunter HD Arcade Game includes 3 new safari outback animals, 18 trophy animals and 51 bonus games. 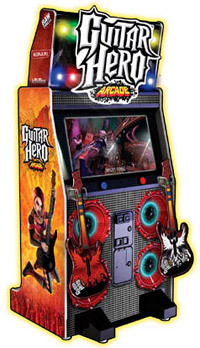 Video Amusement delivers Big Buck Hunter HD Arcade Game for rent in California to San Francisco Moscone Center, AT&T Park, SF Masonic Auditorium. San Jose Convention Center, San Jose Event Center, SAP Center, Santa Clara Convention Center, Levi’s Stadium, Great America. Mountain View Shoreline Amphitheater, Monterey Convention Center, Oracle Arena, Oakland Coliseum, Sacramento Convention Center, Los Angeles Convention Center. LA Live, Staples Center, San Diego Convention Center, Anaheim Convention Center, Long Beach Convention Center among others. We cover Nevada Las Vegas Convention Center. Sands Expo Convention Center, Mandalay Bay Convention Center. MGM Grand Conference Center, T-Mobile Arena and all major venues in all the Western States.